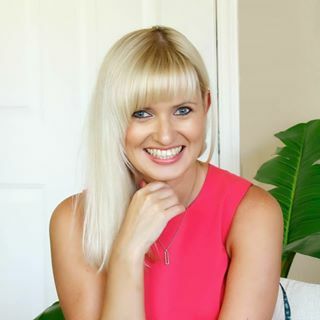 Hello everyone, this is Yana Smakula and thank you for joining me! 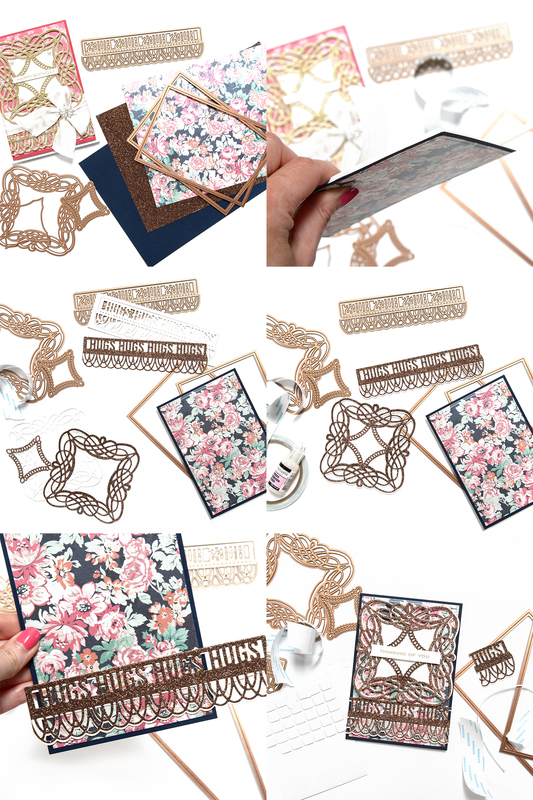 Today I’d like to share a photo tutorial featuring one card design 2 ways. 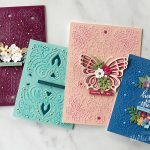 By changing up the papers and colors you can stretch a card design and get a completely different look. 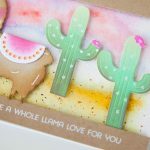 This card was published in the Die-cutting Essentials Magazine Issue 25 along with a few other cards done in a similar style – check it out for more inspiration. Create 5×7” portrait card base out of white cardstock. Set aside. Die-cut panels out of blue cardstock and patterned paper using dies from 5×7 Matting Basics A and B sets. Adhere the two together. 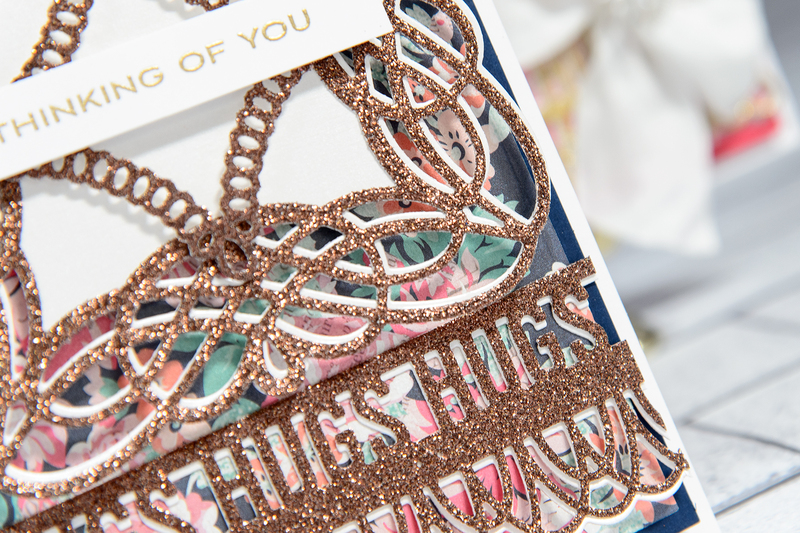 Die-cut a border by using dies from the Graceful Sweet Words set (use Arches die and Hugs insert) out of brown glitter and white pearlescent cardstock. 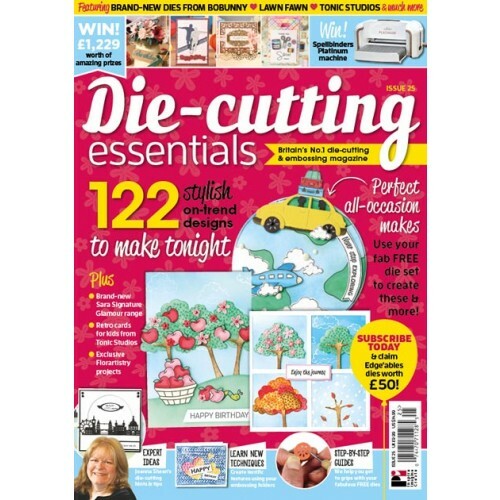 Adhere brown glitter die cut onto pearlescent die cut and offset slightly. Adhere onto base panels. Use foam adhesive to adhere onto the card base. I used a solid layer of fun foam to make my card sturdier. Die-cut main element using dies from the Braided Grace Square set out of brown glitter and white pearlescent cardstock (use Outer Border, Inlaid Braid, Inner Border for brown glitter die cut and Outer Border, Inlaid Braid for pearlescent die cut). Adhere brown glitter die cut onto pearlescent die cut and offset slightly. Foam mount onto the card. 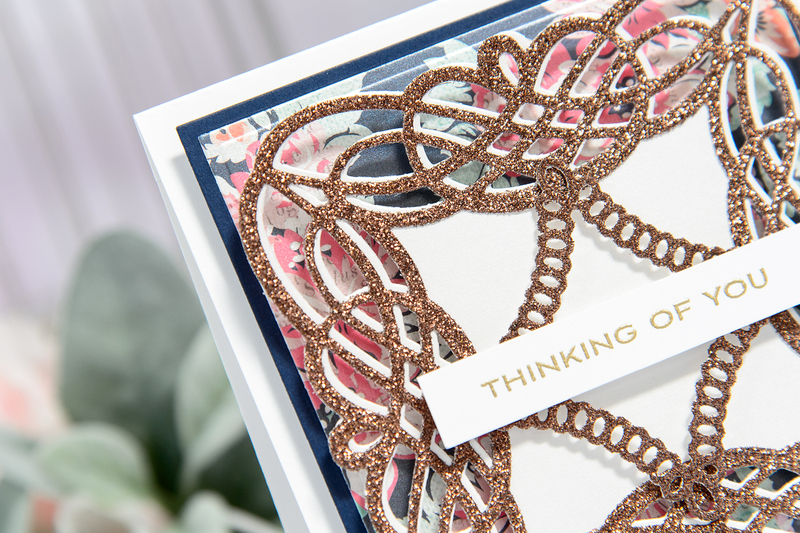 Die-cut Looped Square from the Braided Grace set out of brown glitter cardstock. Adhere onto the card. 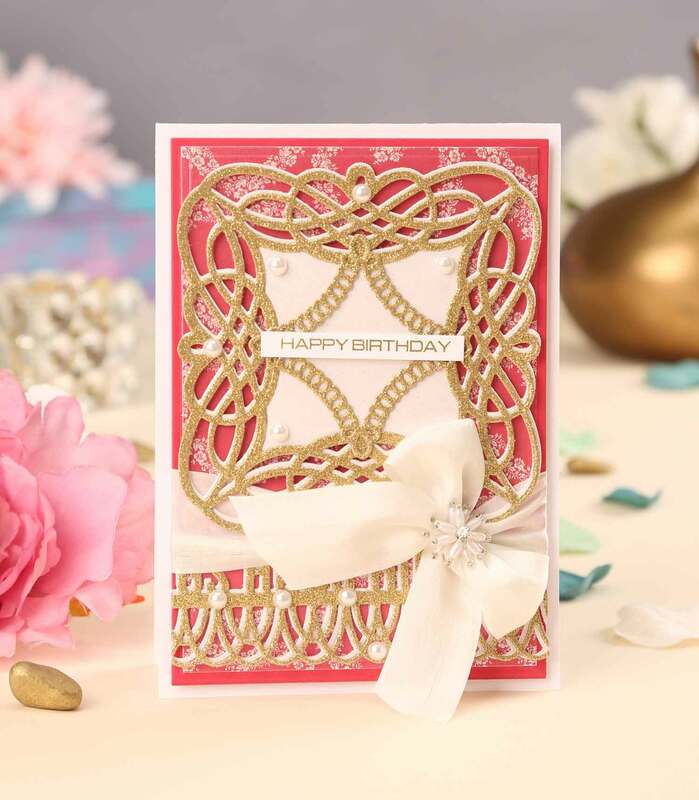 Heat emboss sentiment in gold embossing powder, foam mount onto the card. First Edition Sweet Nothings 12×12 Paper Pad; Cardstock: Neenah Solar White 110 LB cardstock, My Colors Cardstock Navy 12×12 cardstock, My Paper Studio Solid Glitter Brown 12×12 cardstock, White pearlescent cardstock; Adhesive: Scrapbook Adhesives 3D Foam Squares; Fun Foam; Altenew Thinking Of You Clear Stamp Set; Hero Arts Gold Embossing Powder; Versamark Embossing Ink Pad; Scrapperfect Embossing Powder Buddy. 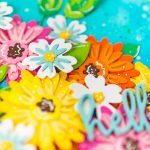 Thank you so much for stopping by today and have fun die cutting!